The area was annexed to the City of Calgary in 1910, and Collingwood was established in 1959. It is represented in the Calgary City Council by the Ward 4 councillor. 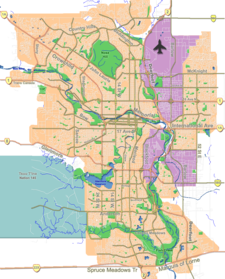 In the City of Calgary's 2012 municipal census, Collingwood had a population of 2,222 living in 978 dwellings, a -0.4% increase from its 2011 population of 2,231. With a land area of 1.6 km2 (0.62 sq mi), it had a population density of 1,388.81,390/km2 (3,596.83,600/sq mi) in 2012. Residents in this community had a median household income of $55,208 in 2000, and there were 13.5% low income residents living in the neighbourhood. As of 2000, 8.9% of the residents were immigrants. A proportion of 15% of the buildings were condominiums or apartments, and 25.9% of the housing was used for renting. This page was last edited on 7 March 2018, at 09:25 (UTC).